Check our website seasonally for changes in our operating hours. Pinter's Gardens & Pumkpins Tuesdays - Saturdays 9 - 5:30, Sundays 10 - 4. Pinter's Gardens and Pumpkins is a full service garden center complete with landscaping services, garden decor and everything needed to beautify your yard. 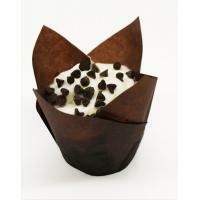 The on-location kitchen and bakery offers muffins, lunches and homemade fudge - even wedding cupcakes & cheesecakes! Talk to us about hosting your business lunches, birthdays or anniversary parties too. The expanded dining space will hold approximately 85-100 people comfortably. Bus tours welcome! For bakery/wedding orders and landscaping inquiries please call 563-382-0010. Each Fall, families come to enjoy the pumpkin patch, corn maze, wagon rides, farm animals, pedal carts and much more on weekends. Make it a family tradition! Take a tasty trip down memory lane with Pinter’s Candies & Gifts, located in downtown Decorah! 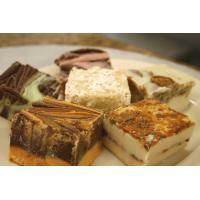 Discover endless choices of old fashioned candies, jams, sauces, baked goods, fudge, and more. Plus, pick out a unique gift for everyone on your list. Come and satisfy everyone's sweet tooth at 107 West Water Street, Decorah, IA 52101! Photos and the bakery menu can be found here! 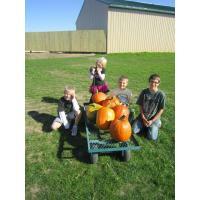 Pinter's Gardens & Pumpkins is located in beautiful Decorah, Iowa...just 4 miles west of Highway 52 on Highway 9. Coming from Cresco? Head east! Visit soon...and plan to stay for lunch! Bus tours welcome! And, Pinter's Candies & Gifts is located right in downtown Decorah on West Water Street! Our mission is to provide our customers with superior quality goods and services through innovative channels while adding a unique difference to their shopping experience and generating lifelong family traditions. Pinter's Gardens and Pumpkins is Now Open! Full Service Garden Center offering plants, flowers, hanging baskets, trees, shrubs, mulch, garden tools and more! Patio displays to see what the finished product can look like in your own backyard! And, plan to visit The Bakery at Pinter�s Gardens and Pumpkins for lunch or cookies, pies, cupcakes, fudge and more tempting treats! Need a cake for a special occasion? Ask to see the photo album for ideas or visit our website.